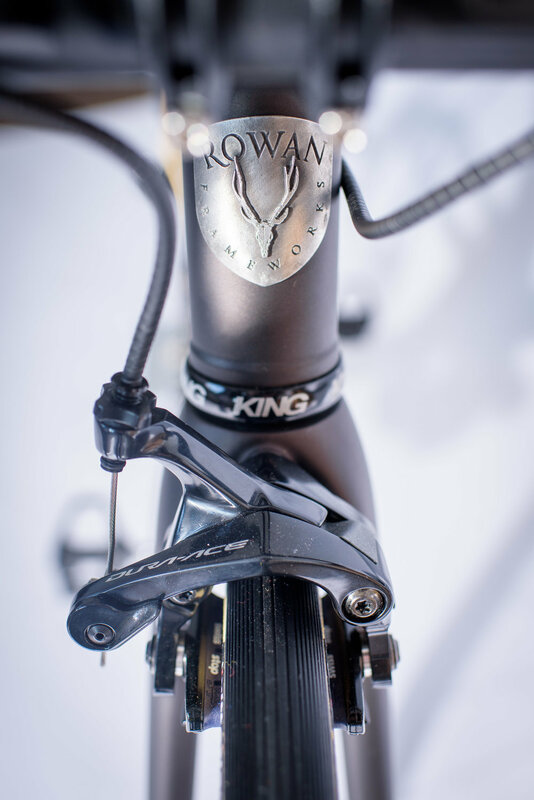 FINISH: Timmy Rowan’s brand is very clearly all about the details. He leaves nothing to chance. For this finish, we were tasked with creating a fade that travelled from brown to cream whilst imbuing the sentiments of fine hardwoods and premium leather goods. For a flourish on this minimal frame, there is a speckled ‘egg shell’ effect at the colour transition and the whole bike is given no unnecessary glamorous gloss, instead being coated in a subtle , custom mixed sheen that sits somewhere between matte and satin.